Herds of sheep roam freely throughout Mongolia, including the Gobi Desert. While driving through the Gobi we stopped to enjoy watching a herd of sheep and their shepherd. 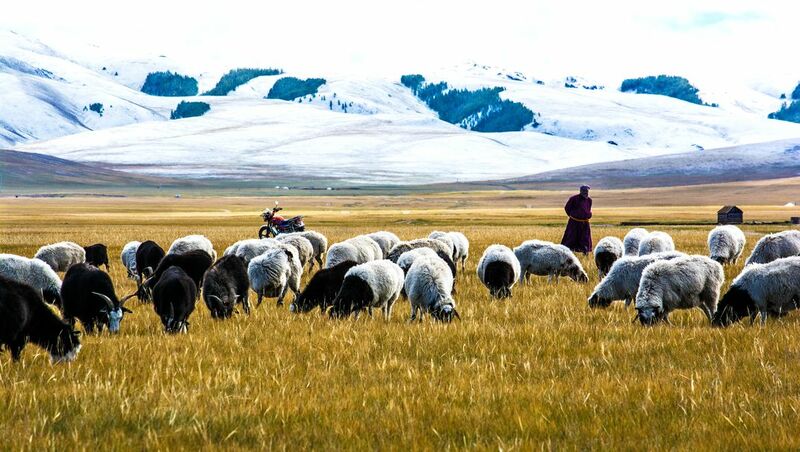 This image captures the sense of Mongolia – wide open spaces, sheep, the shepherd. But, it also captures the contradictions in current-day Mongolia. Behind the flock is the shepherd’s motorcycle and in the far distance, the white gers stand out to illustrate how Mongolians live in traditional homes far from neighbors.